Bluetooth has been around since 1994. It has been used for various reasons, developing continually over the years. From the official Bluetooth site, you can see the history of Bluetooth and how it has evolved into modern day technology. Do you want to know a fun Bluetooth fact that I bet you didn’t know? Bluetooth is named after a 10th century Danish Viking, who united and controlled Denmark and Norway. King Harald Blåtand (translated Bluetooth in English) used to allegedly love eating blueberries. He ate so many blueberries, that his teeth became stained by the colour. This is when the name Bluetooth was born, but the name was not adopted until 1998. Bluetooth is a wireless connection, between electronic devices. It allows devices to connect and send commands to each other, through short-range radio waves. The maximum reach of these waves is generally 10 meters but, can be longer with high-powered devices. The ability to have a wireless connection, is a standard protocol for most electronic devices. It is in wide use amongst mobile phones and electronics. Throughout the 20 years of Bluetooth existence, there have been many Bluetooth developments. These include, speed of connection and quicker Bluetooth device discovery. The data transfer rate has also got faster and comes with additional support (Bluetooth Smart or BLE) for low energy use. Driving and using your phone is illegal. Therefore, Bluetooth and hands-free kits are necessary for safe, legal driving. It can also help to change bad driving habits. Bluetooth car stereos can work in different ways, depending on the model you have. Some units make it possible for you to make and receive calls without touching the phone. Whereas, some will require you to press a few buttons. One of the advantages of having a car stereo system is that it channels sounds through the car speakers. This can create a surrounded, clear, volume-controlled conversation. Your Bluetooth car stereo, can also have the potential to store your phone’s contact information. But what do you really want to look for in your Bluetooth car stereo system? You want to make sure that the Bluetooth function delivers great audio quality. Ensure it outputs powerful sound and that it is compatible with your phone to work for calls and audio streaming. You may also want to have a front facing, USB port if you have a lot of files on memory sticks. You would want the option so that you are not relying solely on your phone battery. Having multiple other functions on your car stereo can also be an advantage. The Bluetooth profiles differ for different types of Bluetooth devices. The profiles are the feature sets of the device. Hands-free is a profile used for mobile phones and headsets. It is used to transfer call data and to connect with the other device. The “A2DP” also known as stereo Bluetooth, is another profile. It connects via computers, media players and modern phones. This profile transmits CD-quality stereo audio for when you are listening to music. The profiles “sync and “print” are used to transfer files and print information between devices. Knowing what Bluetooth hands-free kit is right for you can be hard. So, how do you spot the best Bluetooth kit, to suit your needs and budgets? Bluetooth works through different products and in many ways. Each has its benefit and disadvantages, so how do you know which one is the best one for you? Below we have pointed a few things about different kinds of in car Bluetooth options. You want your car stereo to allow you to control your phone as much as possible especially when you are driving. The best Bluetooth will give you control without having to pick up the handset. For phone calls, for example, the Bluetooth allows for the music to stop while you take a call. It continues playing music when the call is finished. Your car stereo will easily lets you stream music and listen to phone calls through the car speakers. The device should be able to auto-pair a phone to be compatible with any handset equipped with Bluetooth. This should all be done without having to compromise the sound quality. It offers clear sound without static distortion. A Bluetooth kit that allows for voice command can be very handy. You can say ‘answer’ to take a call or ‘ignore’ to let the call go to voicemail. You do not have to press any buttons and some car stereo voice commands will also, read out the caller's name and number. Voice commands can also be activated on your phone’s, with Siri for iPhone or Google Now on Android. For older cars, you could get a brand new stereo. But when you are trying to be cost effective you will want to opt for an FM transmitter, AUX Bluetooth or Bluetooth speakerphones. These may not be the best options, however as it means you will have to use your cigarette lighter outlet to power it. Despite being the cheaper, portable and hassle-free option - the sound quality will not be as good. AUX Bluetooth kits are for the cars that have an AUX input. They come with an internal microphone that can be mounted on your dash to take phone calls. However, the issue with this kit is that it can clutter your car with wires and extra devices like the microphone. You may not really want the speakerphone to be visible. But they can be a cheap and convenient alternative. Bluetooth speakerphones are well known for their advantage in size and portability. The speakers clip onto the visor and as the other Bluetooth options, stream music and allow you to use your phone for calls. They have powerful internal speakers. There aren’t any wires involved, or added clutter to the dashboard, but you will have to keep charging it in the long run. The actual function can prove to be unreliable as it uses the FM Transmitter to stream calls and music. This means you won’t always be guaranteed a good quality phone call or smooth stream of music. We have picked out some of the most popular Bluetooth stereo systems. We think they are great for value, offer the best Bluetooth benefits and have had great customer feedback. The car stereo systems that we have illustrated below vary in price. It depends on your budget and requirements; that will lead you to decide which one would be the best one for you and your car. The In Phase range of head units offer a full range of features, at a very competitive price. The units have been engineered to offer great sound quality, straight from the box. It also allows you to fine tune the unit to your choice. They also have plenty of options to expand with multiple lineouts. The In Phase IPS249BT is fully featured. Not only is it a CD MP3 player with full RDS radio for FM and AM, but it also has SD card slot and USB on the front of the fascia. The unit also has Bluetooth built in. It will allow you to, not only accept and make calls handsfree, but you can also stream music from a Bluetooth device to the head unit. In Phase have also supplied free of charge an external microphone which can be located nearer the user for clear voice calls. There is an easily accessible button on the microphone to accept and end calls. The head unit has the latest Bluetooth hardware. This will work with the full iPhone range, including A2DP streaming. Built-in Bluetooth connection for hands-free calling. 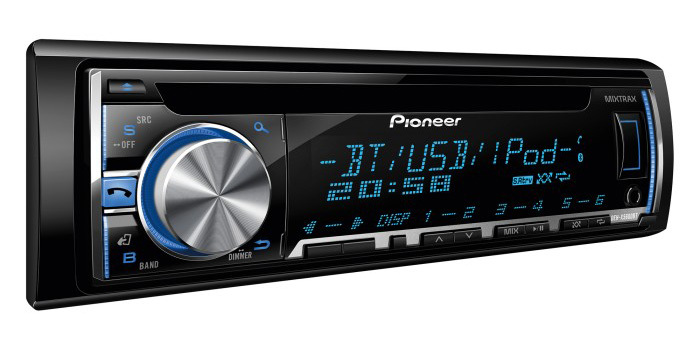 The Pioneer DEH-X5600BT stereo system has an RDS Tuner with Bluetooth, MIXTRAX EZ, Front USB and Aux-In and Direct iPod Control. It supports WMA/MP3/WAV Playback and Siri Eyes Free and is Android media Compatible. Light up your tunes to match your mood. Enjoy pristine sound from the DEH-X5600BT's built-in amplifiers that deliver 4 x 50W of pure, proven MOSFET power. For even more power you can use the 2 RCA pre-outs to hook up another stereo component, like a subwoofer or an extra amp for the rear speakers. 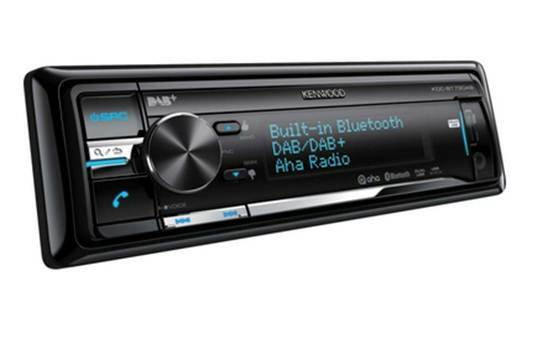 If you are looking for a complete package - the Kenwood KDC-BT73DAB car stereo is digital radio, Bluetooth, iPod/iPhone dual USB and CD ready. Kenwood's new high-end look is included on this Bluetooth hands-free model. Included is Kenwood's iPhone easy pair feature (iPhone 4/4S/5) once connected to the USB Bluetooth pairing is automatic. The iPhone Siri function (iPhone 4S/5) can also be used remotely. With the benefit of a 3-line full dot LCD display. It is a pleasure to use and will transform your dashboard. Designed specifically for iPod/iPhone control with search keys ergonomically placed around the volume controls. For the first time, this Kenwood model includes front and rear USB inputs to cater for all your USB and iPod/iPhone needs. A sophisticated digital sound processor allows a multitude of audio adjustments. When pairing your mobile phone, or MP3 there are a few simple steps that you will need to take. 1. Firstly, switch the Bluetooth on both the car stereo and other devices. Generally, the Bluetooth on a car stereo is always on. So, it’s your own mobile phone that you will have to check first, and enable it if it is switched off. 2. You will then need to find or discover new devices on your phone, from your Bluetooth settings. It should show you the device name, (if it doesn’t, refresh and try again), when you have found the name, select it and ask to pair. 3. It will ask you for the “pairing code” which you will need to enter. The code should be in your car manual. 4. Once the pairing is complete, your devices would have connected, and you can check to see if your connection is working by playing a song on your device. 5. If it has not worked, you will need to check that you have connected with the correct device, and try again from step 2. So, we have covered: what Bluetooth is, about Bluetooth car stereo systems, profiles and car kits. We have recommended products and how to pair your device. Now you know all you need to know. Hopefully, our ultimate guide to Bluetooth car stereo systems has educated you, and turned you into a Bluetooth expert. 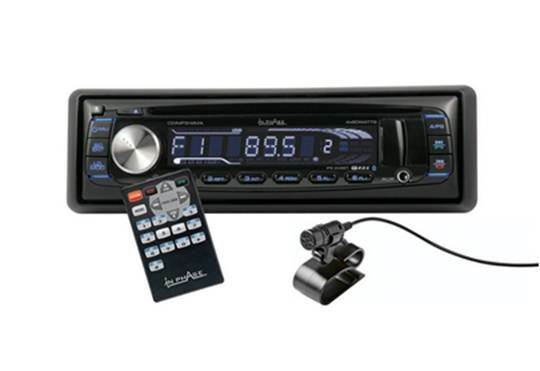 Visit our website, to see some quality, affordable and cheap Bluetooth car stereo systems.